When Nathan “Nate” Mendel started his company in Denver, Colorado, in 1997, he focused on small commercial projects, including dental offices, restaurants and retail spaces. 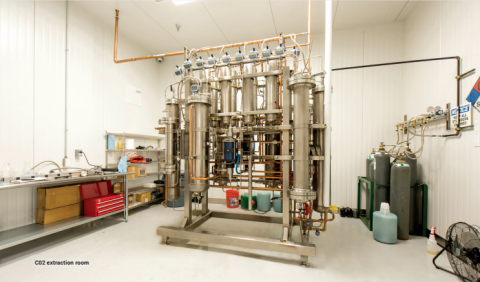 In 2011 he took a risk and started another company offering a more unusual service— building marijuana facilities. Nate remains Founder and President of Mendel & Co. Construction Inc., and also runs its wholly-owned subsidiary, Your Green Contractor, which builds custom facilities for the legal marijuana industry. Nate’s construction experience in dental and other healthcare-related facilities was helpful in transitioning to the marijuana industry, and he was excited to try something different. “In Colorado and many other states, we have been one of the first to openly say we’re happy to build marijuana facilities. The difference in this market is that we don’t know who our competitors are. In other industries, we always know our competitors,” he says. profession by speaking at trade shows to help the industry develop best practices to meet growers’ needs as well as conform to the constantly changing building codes and regulations. Previously, growers had to do everything by hand. Now, many facilities have fully automated controls for lighting, temperature, humidity, nutrients and water. 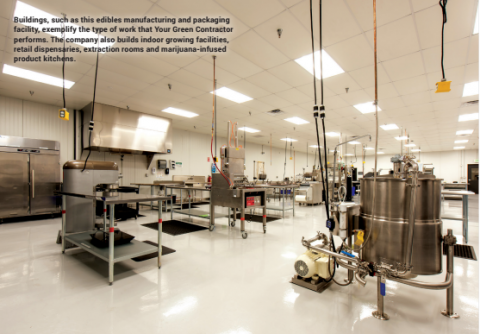 On average, newer commercial cultivation facilities range anywhere from 10,000 to 100,000+ square feet. No matter the size or location, the construction experience of Nate’s team is important to this new venture. For both of Nate’s companies, all projects are managed from the Denver, Colorado, office by a 33-member staff. “We’ll only send one full-time superintendent and one traveling project manager to an out-of-state project. We subcontract all other areas, such as electrical, mechanical, plumbing, etc., as we do on our local work. Our only extra cost on remote projects is the per diem and housing for our superintendent,” notes Nate. Enthusiasm and cheerful attitudes are hallmark characteristics of Nate’s staff. “Part of their passion comes from the industry. Construction is very fulfilling. There’s an enormous amount of gratification and a lot of inherent pride of ownership in seeing a project through from start to finish,” he says. 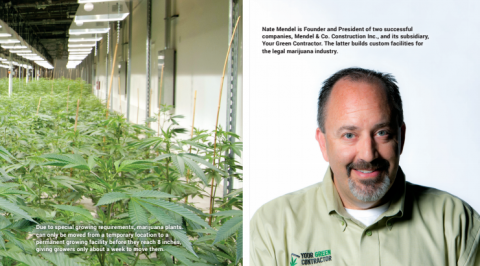 “ Marijuana greenhouses need more high-tech features for security, lighting, light deprivation and other growing needs, so it’s better to start new.” – Nate Mendel, Founder and President of Mendel & Co. Construction Inc. After four years in this market, Nate has been to at least 20 different business-to-business trade shows focused on marijuana and has been the only contractor exhibiting. Now, there are marijuana-related trade shows almost every week in states where marijuana is legal or on the ballot to become legalized. He has also become more visible in his profession by speaking at trade shows to help the industry develop best practices to meet growers’ needs as well as conform to the constantly changing building codes and regulations. Previously, growers had to do everything by hand. Now, many facilities have fully automated controls for lighting, temperature, humidity, nutrients and water. 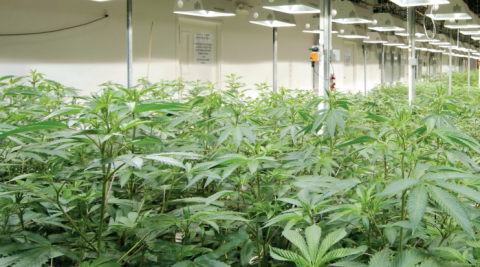 On average, newer commercial cultivation facilities range anywhere from 10,000 to 100,000+ square feet. No matter the size or location, the construction experience of Nate’s team is important to this new venture. ATTITUDE AND SKILL For both of Nate’s companies, all projects are managed from the Denver, Colorado, office by a 33-member staff. “We’ll only send one full-time superintendent and one traveling project manager to an out-of-state project. We subcontract all other areas, such as electrical, mechanical, plumbing, etc., as we do on our local work. Our only extra cost on remote projects is the per diem and housing for our superintendent,” notes Nate. Enthusiasm and cheerful attitudes are hallmark characteristics of Nate’s staff. “Part of their passion comes from the industry. Construction is very fulfilling. There’s an enormous amount of gratification and a lot of inherent pride of ownership in seeing a project through from start to finish,” he says The biggest distinction between the two companies is that 95 percent of Mendel & Co. Construction’s work comes from repeat clients or referrals, while Your Green Contractor’s is primarily new business. One reason that Your Green Contractor gets a lot of calls is that its website is on the top of the Google search list for marijuana and construction. “We get two to three calls a day from people who don’t know us, so there is a lot more time involved in figuring out if we’re a good fit for each other. In some cases we may refer them to an architect, consultant or real estate broker to help them first,” Nate explains. Your Green Contractor and others in the industry are poised for growth. According to a co-authored report by data and analytics firms New Frontier and ArcView Market Research, in 2016, the size of the legal marijuana market in the U.S. is projected to grow to $7.1 billion, a 26 percent increase compared to 2015. By 2020, legal market sales are expected to exceed $22 billion. “The sheer amount of money in this market is amazing and it’s an easy way for states to increase their tax base,” says Nate. “This year alone, Colorado has received about $100 “ Construction is very fulfilling. 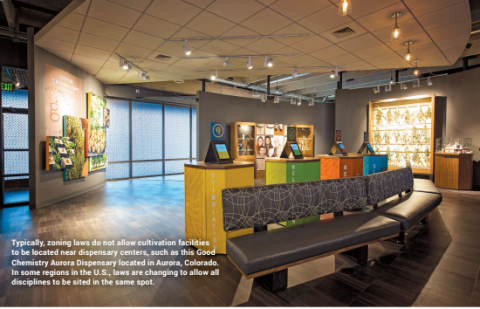 There’s an enormous amount of gratification and a lot of inherent pride of ownership in seeing a project through from start to finish.” – Nate Mendel, Founder and President of Mendel & Co. Construction Inc. million in tax revenue from the marijuana industry. Right now, the market is larger than the NFL and the per capita spending is higher than that of bread, milk and meat combined.” While Nate’s companies have prospered, he does not turn a blind eye to the needs of his fellow man. Rather, his good COURTESY OF BRITT NEMETH PHOTOGRAPHY fortune motivates him to give back to others. SHARING GOOD FORTUNE As the volume of business increases, so do the Mendel companies’ acts of community service. Nate is the founder and head of his local Construction Industry Networking Group, a leads referral and networking organization, and was recently honored as Volunteer of the Year by Temple Sinai for his time and material contributions to its building committee. One of his current humanitarian efforts involves remodeling the home of a severely handicapped woman who does not have the use of her legs or her left arm, and cannot speak. “She is an amazing person and as full-functioning as anyone you know, but her house was never modified to accommodate the additional loss of her arm last November,” shares Nate. His company is donating skilled labor and materials and the Home Builders Foundation is overseeing the logistics of this project, which began last year. “We’ve retrofitted her bathroom and the flooring, and are now working on her kitchen. Baking is her passion and she bakes every day for volunteer organizations because she wants to give back to the community.” His staff also volunteers each year to walk as a team in a Colorado-area Light the Night Walk event, which raises funds for The Leukemia and Lymphoma Society. As construction of marijuana facilities becomes more mainstream, Nate Mendel will continue to reach out to help educate the building and construction industry about this “growing” market, and to serve his community. Author Bio: Marge O’Connor is a Chicago-based freelance writer serving the international AEC industry. Your Green Contractor has participated in over 20 business-tobusiness trade shows focused on the legal marijuana market. In 2016, the nation’s legal marijuana market is projected to climb to $7.1 billion. By 2020, sales could exceed $22 billion.